Ready or not, happy 2016! We always look forward to the new year and a chance to start anew, wipe our financial slates clean, set new goals, and rededicate ourselves to keeping a budget. And this year is no exception. One of biggest keys to keeping a budget is finding the right budgeting and expense tracking method for you. 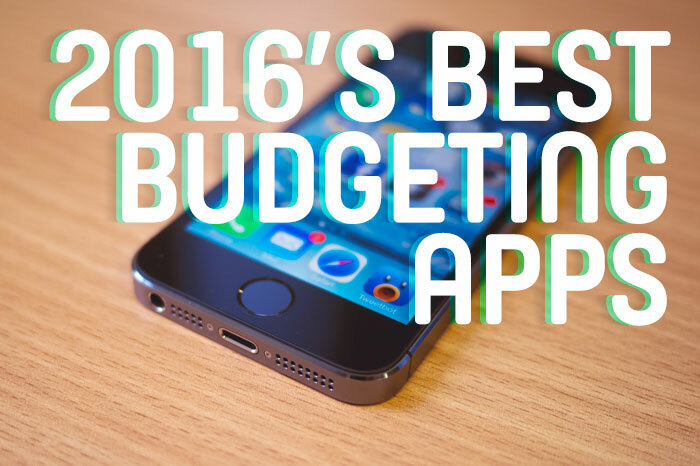 So without further ado, we give you the best budgeting and saving apps of 2016. NOTE: All apps listed below are for iPhone. While we can’t speak to the availability or functionality on any other devices, many of them are available for Android. This is the app that we’ve used for a few years, and we continue to use it. If you’re looking for an app that requires you to manually enter your income and expenses, this is a great option. The setup is easy, you can make your budget as comprehensive as you’d like (or not like), while keeping it uncomplicated. Our favorite feature is that the app syncs between our devices so we can keep each other in the loop on our expenditures in real time. It’s not totally perfect, but as one reviewer put it, HomeBudget’s the least bad money tracker out there. Coinkeeper has a fun interface of dropping “coins” into different expenses. Much like the “envelope system,” it’s nice to actually watch your money move from your accounts to your various categories. Its light, clean, simple design makes it easy and enjoyable to use. You manually enter your planned expenses and income, and it’s all visible in one place. The app is listed for free, but the premium (i.e., paid) option would be necessary for most to budget effectively. It is developed in Russia, so some of the text and labels in the app are lost in translation, but all in all, this is a very worthy app. The latest and greatest version of YNAB (which stands for You Need A Budget) automatically imports your bank accounts and expenses, but you still create your custom budget. You use the phone app in companionship with the web app, which allows you to create a budget that’s whole and comprehensive. And although your expenses are automatically imported, you still manually categorize and approve them so that you remain an active participant in your budgeting (which we’re huge proponents of). As with HomeBudget, YNAB syncs between devices so you and your spouse/partner can stay up to date. Unlike the other two free apps listed below, Billguard automatically tracks your spending, rather than entering it manually. You simply add your accounts during setup and all of your expenditures will be imported for you. But what makes Billguard unique from other budgeting and personal finance apps of its kind is that you can review your expenses and approve them. And true to its name, Billguard alerts you of any suspicious or duplicate charges to help keep your finances safe as well. Whether you end up using this app for tracking your budget or not, it’s worth downloading for this feature alone. This app is just a delight with its bright, simple design. This is a great option to get you started budgeting with just a few quick, easy steps. And the concept is simple: how much money you currently have versus how much you’re spending. Their unique calendar-view approach makes it super easy to see an overview of how much you spend each day throughout the month. If you’re looking for free and simple, Fudget is the budgeting app for you. They strip away all the bells and whistles and complexities of budgeting, but keep the meaty basics. This app helps you track your income and expenses and see where you stand, period. This is a great option for budgeting beginners and minimalists alike who just need/want to get in the habit of tracking where your money goes each month. Digit automates your savings like a boss. It connects to your bank account, analyzes your spending, and then takes small amounts of money you don’t need (usually between $5 and $50) and saves it for you. It then updates you via text and tells you how much it has socked away into savings for you each week. The entire “app” takes place via text messaging, so if you ever want to check your balance or withdraw/transfer some of those savings, you just have to send a text and you’re on your way. We love how painless savings becomes with Digit. Get $5 deposited into your account for free when you sign up here. 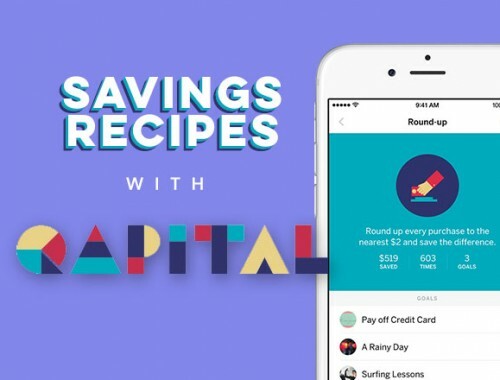 Qapital helps you save by using rules, or more specifically IFTTT (if this then that) recipes. When one of the rules or goals you’ve set gets triggered by the recipe you’ve created (like completing a run with Nike+), money automatically gets saved. On the flip side, you can also have money taken away when you break rules you’ve set for yourself (like shopping at Target). Here are some of our favorite Qapital recipes. Qapital puts a fresh, fun, personal spin on saving money, and we can’t get enough of it. If that tickles your fancy, sign up here and earn $10 just for starting an account. Investing is no walk in the park, but Acorns makes it easy peasy. This app invests your spare change by rounding up your expenses to the nearest dollar and invests the extra into a diversified portfolio. It’s completely automatic, and your money doesn’t just get saved — it grows (assuming the markets are doing well). You can also deposit or withdraw your own specified amounts at any time. And while the app is technically free to download, once you start investing, it costs $1/month (but free if you’re a student). If you like Mint, you’ll love Personal Capital. If you’re already investing and starting to save for retirement, you may use Personal Capital to simply track your money over time. You can view all your accounts and investments in one place, analyze your net worth, and set financial goals. You can also receive personalized help from their financial advisors anytime you need it. And while the app is completely free to use, they do charge a 0.89% fee on all assets that are actively managed. When it comes to tracking your finances, Mint is the pioneer and godfather of all the personal finance apps. And although you can create your own budget in the app, we steer clear of using it for this purpose for a number of reasons, including the annoyance that many transactions end up miscategorized. So while using it for budgeting can be more tedious than it should be at times, we absolutely love using it as a way to see an overview of our money. All of our accounts are listed, so we can easily see where we stand financially with a big-picture perspective. When we track our net worth at the end of each month, we always use Mint to get it done. We shop online for anything and everything these days. And one of our absolute favorite tools for maximizing our savings while we’re shopping is Ebates. They offer cash back if you shop through their site for most online stores. We save a couple hundred dollars each year from using it during our typical online shopping purchases. We couldn’t recommend it enough. And the best part? It’s totally free. No strings attached, no catch, and no gimmicks. Sign up for Ebates, and don’t miss out on any more free money! Pin the image below to bookmark this post! 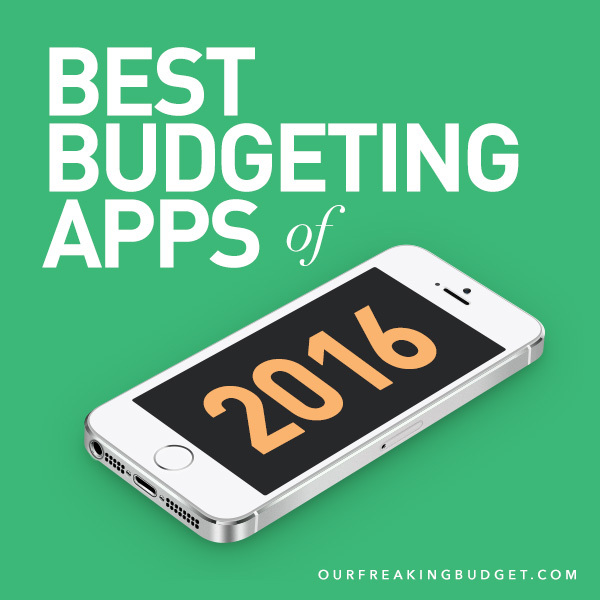 Hopefully one of these apps is just what you (and your budget) have been looking for. Finding the right app is only part of the solution. Our How to Start a Budget guide will help you figure out everything else. May 2016 be the year we all have our very best budgets yet! 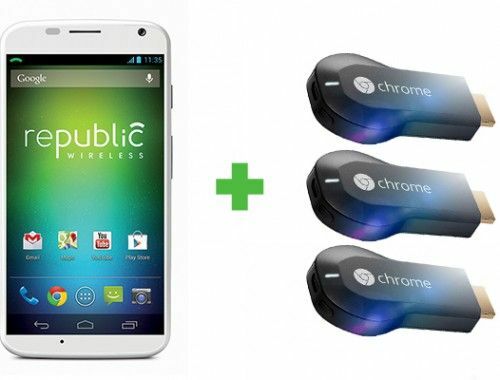 Republic Wireless Phone & Chromecast Giveaway! Happy New Year to ya dude and to your family (Joanna, Sally and Winnie)! Hope you all have a happy, healthy and prosperous year ahead. This being New Years Day, I embarked on my annual custom of wrapping up the recording of how well we met our budget goals for the past year, along with tracking the status of our investments at yearend. All good results I’m happy to report. As you may remember, based on previous comments in your blog, I tend to not use apps software but prefer to stick with my (tried-but-true) excel spreadsheets. Now that’s not knocking your apps approach but just chalk it up to “it’s hard to teach an old retired dog new tricks”! All the best in 2016 to you guys. Thank you for the great list. Previous lurker and first time poster. This is a very good and comprehensive list! I personally used to enjoy using Mint. I thought it was a pretty solid, free service, (although I decided to opt out due to anxiety over the possibility of getting hacked, however minute it may have been) despite the mess it made of transactions posted. I may just have to give one or two of the mobile apps a try. Thanks! 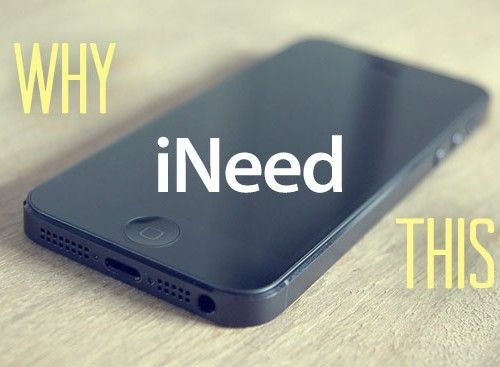 Is there a free app like the one you use that will allow you to sync two phones to update expenses in real time? I love this idea, but have a hard time thinking about paying $6 per month for the service. I just downloaded digit and i have $3 stashed away. But it scares me that something is taking money out of my account and placing it somewhere. Have you used it before? We created MyMoneyPicture as a simple application that helps you track your expenses, monitor account balances, and compare actual spending to your budget. MyMoneyPicture is free, and does not need access to your accounts. Spending is entered manually to increase awareness. It only takes a few minutes a day. Mint helps me stay on budget each month! Can anyone recommend a good “snowball tracker” app? I want to be able to easily view my progress. I guess I could also use a spreadsheet with everything already programmed in…. I’m using MoneyWiz… which is quite a good app but it hasn’t some features that I really need. I would like to use the Family Bank and Saving Accounts with my wife. So that we can both insert transactions for these accounts. We could use the App with the same User, but doing this, she could see my personal accounts and I could see her personal accounts, which it’s not so nice, for example if I would but a gift for her… she can see how much I spent for that gift. Does HomeBudget with Sync do what I need ? Could you find an app that does what you needed? I have been using HomeBudget for some years now. It does not do that. I also bought MoneyWiz, but I haven’t use it a lot. Looks like it does not do that neither. No Moneywiz, doesn’t have it… but they said that they will put multi users in future. You can use YNAB for multi-users (You Need a Budget). You can have one budget but multiple accounts and multiple lines in your budget. It is not built for 2 users but you could definitely make it work for you. I’d be happy to help you if you try it out. I just got everything set up on Mint in the past few days and now everything is duplicated on there so it is completely useless to me. I’ve seen posts of others having this problem however, there are no responses and no way to contact anyone to assist. So Mint is a no-go for me. Try Toshl (www.toshl.com), it has a web side and an app for all the major phone os. Both paid and free version. We personally use Mint, but are looking into testing other apps for Android. Word of caution in regard to YNAB – the new online version is virtually unuseable. It won’t import transactions from many major banks with no ability to import manually to make up for it. Additionally, they will not respond to support inquiries (except for a robot macro). I was a long time fan and advocate of their software and really feel burned by the change up. Thank you for the great round up of alternative apps as I look for something better! Bluecoins on android is one of the best personal finance app in the playstore and is now my daily driver for managing my spending and money. One thing I like about it is it’s ability to not only track but notify me of incoming bills and spending. Very handy. Nice list of apps! I do use most of them. They really help to save money. My favourite is Gas Buddy – I love going on road trips, so it is indispensable. It is so convenient to always see all the station and be able to pick the nearest and the cheapest one. Skyscanner. As I already mentioned, I am an avid traveller. I use Skyscanner to search for cheap tickets. A couple of month ago I booked a return flight to Portugal for only a hundred euros. Vouchercodes. There is always a wide choice of various coupons and discount for food, clothes, cinema and even restaurants. Uber. I am surprised it is not on your list. The cheapest taxi ever. MoPals. It is like Foursquare but with a lot of bonuses – you get coins for every comment or like/dislike and then pay with it in any restaurant or shops. I like how its developers have combined the best features of Foursquare with unique money-saving features. I hope my list will be useful. I was wondering if you could help me. I have downloaded Mint and Dave Ramsey’s app, as well as a few others. But none of them are quite what I’m looking for…. Most of these apps are based on the premise that the user already created a budget. I would like an app that helps to CREATE a budget. I need assistance in determining how much I should be spending on different categories and putting into savings, based on my income. I’d want to be able to input my monthly (after taxes) income, my regular bills, estimated expenses, and have the app help me categorize and save. Another feature that could help me is that is syncs with my bank account and analyzes how much i’m curently spending in some categories, like groceries, gas, prescriptions, etc. Is there an app like that? Thanks!!! I just came here to say that if you have an android family plan and you purchase Home Budget with Sync, everyone on the plan has access to the app so you only have to buy it once. Which is nice.